In this paper we elaborate on the challenges of learning manifolds that have many relevant clusters, and where the clusters can have widely varying statistics. We call such data manifolds highly structured. We describe approaches to structure identification through self-organized learning, in the context of such data. 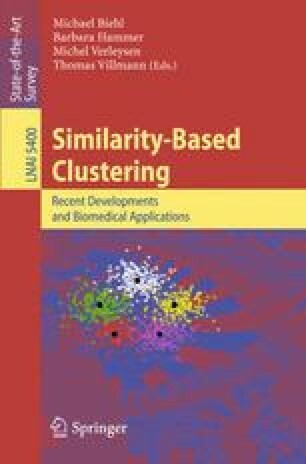 We present some of our recently developed methods to show that self-organizing neural maps contain a great deal of information that can be unleashed and put to use to achieve detailed and accurate learning of highly structured manifolds, and we also offer some comparisons with existing clustering methods on real data. 1.Department of Electrical and Computer EngineeringRice UniversityHoustonU.S.A.